Markdown is great! 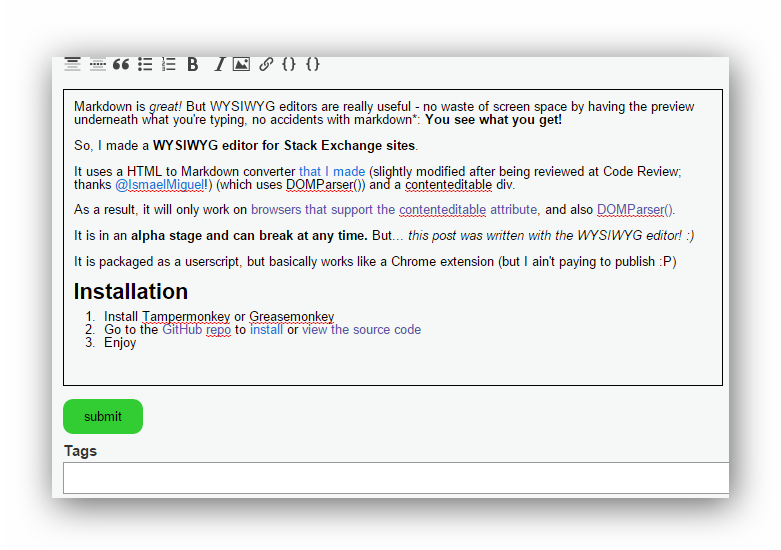 But WYSIWYG editors are really useful - no waste of screen space by having the preview underneath what you're typing, no accidents with markdown: You see what you get! 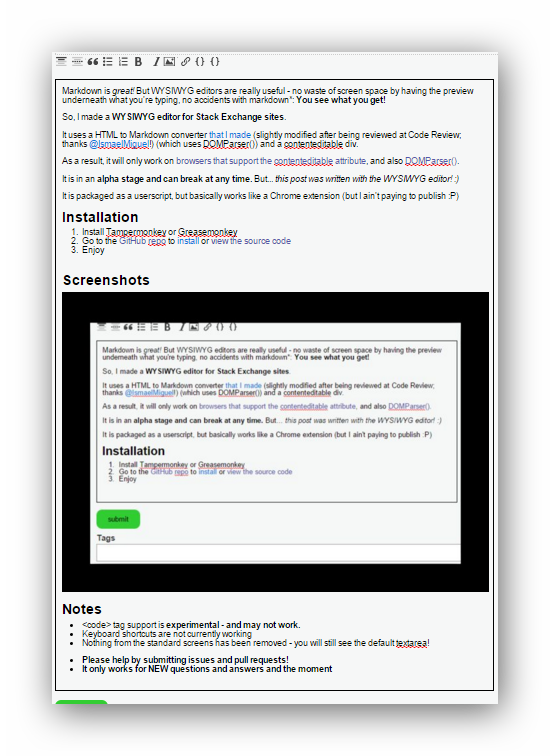 So, I made a WYSIWYG editor for Stack Exchange sites. It uses a HTML to Markdown converter that I made (slightly modified after being reviewed at Code Review; thanks @IsmaelMiguel!) (which uses DOMParser()) and a contenteditable div. As a result, it will only work on browsers that support the contenteditable attribute, and also DOMParser(). Nothing from the standard screens has been removed - you will still see the default textarea (see my answer for why)! Please help by submitting issues and pull requests! Not the answer you're looking for? Browse other questions tagged script greasemonkey editing tampermonkey .